Suitable for ALL engine types including vintage, here classic, high performance, daily drives and 4×4’s. Unlike water, Evans Waterless Coolants contain no oxygen or minerals and so eliminates corrosion and with a boiling point in excess of 190C prevents hot spots caused by pockets of steam. Evans also allows the cooling system to run at a much lower pressure which in turn reduces stress on components. Evans waterless coolants will not freeze even at temperatures as low as -40C and with the boiling point at an impressive 190C, eliminates overheating. Once applied, Evans coolants are designed to last the lifetime of the engine and never need replacing. Switching to Evans also provides further peace of mind as unlike traditional coolant solutions, it is classed as less-toxic, dramatically reducing its health dangers. Evans Waterless Coolants have a boiling point above 190°C and will not vaporize, thus eliminating overheating, boil-over and after-boil. 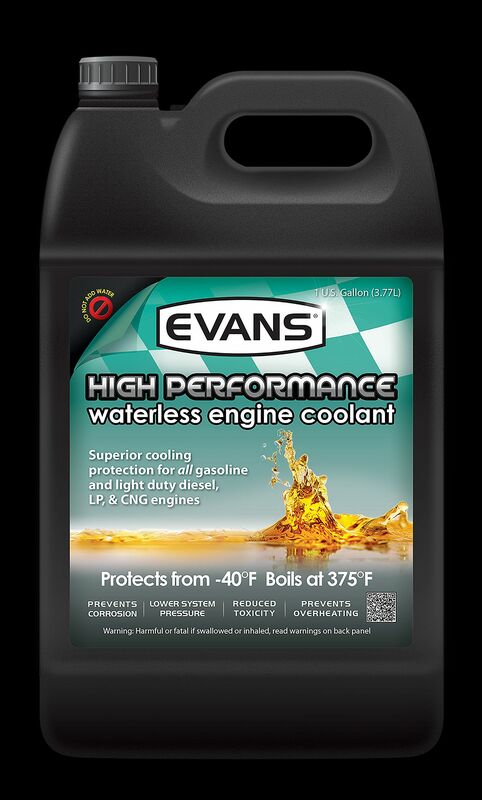 Evans Waterless Coolants generate very low vapor pressures reducing stress on engine cooling system components. 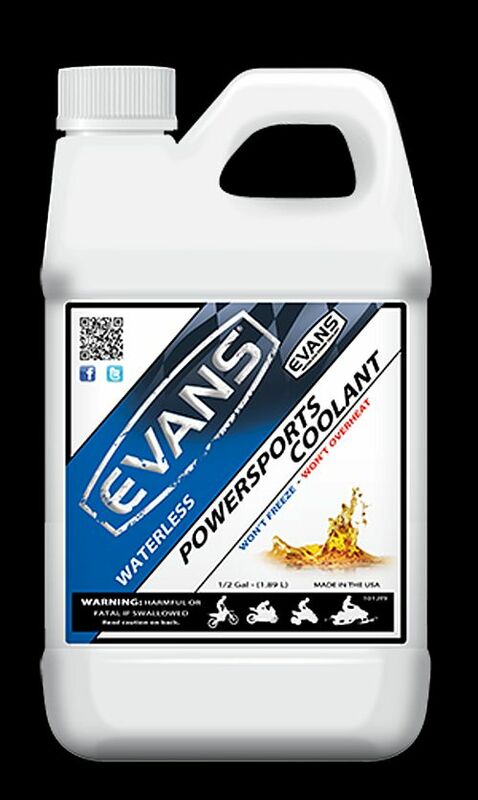 Evans Waterless Coolants contain no water effectively eliminating corrosion. 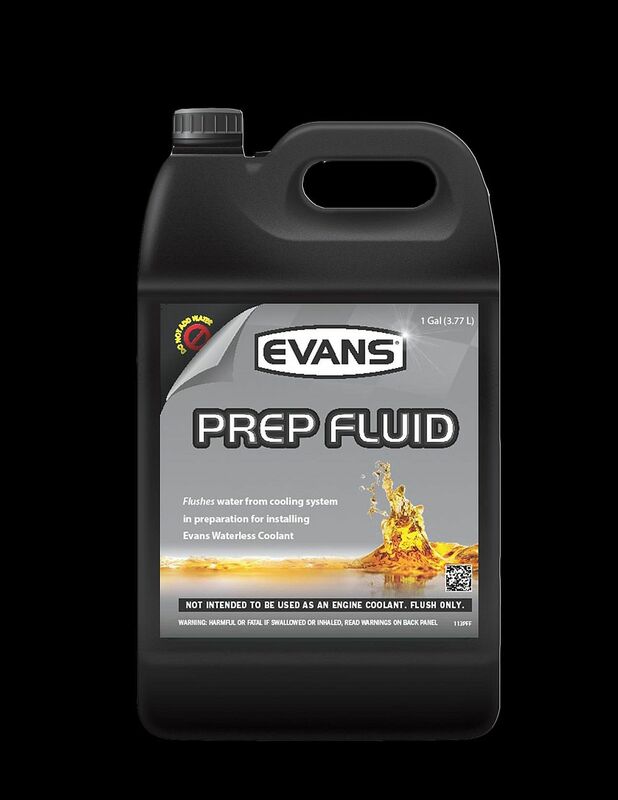 Evans Waterless Coolants stops corrosion and prevent pump cavitation. Evans Waterless Coolants are proven to be Less Toxic.